Sometimes, the holiday season sneaks up on us, and with all the hubbub, we don't have time to finish shopping. We also suffer from extreme laziness. 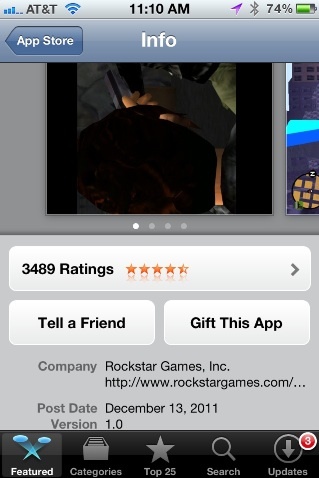 Just go to the app you want to gift, and click on the little arrow next to the price tag. 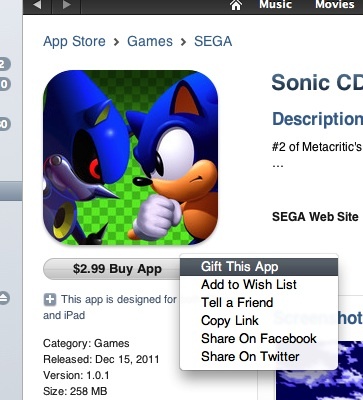 You'll have a few options you may have never seen before, including Gift This App. Select this option to get started with the gifting process. 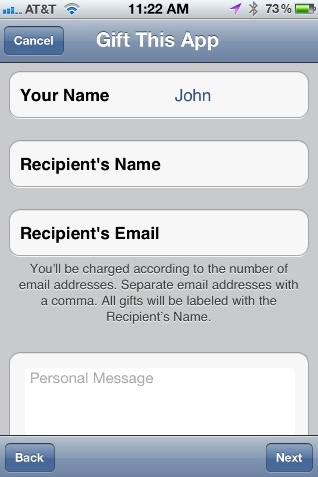 Here, you'll have the chance to add a personal message, and you have two options on how to deliver the code. You can either email the redeem code to the intended recipient, or you can print a small card using your home printer. You're close to the point of no return. Notice that, if you have a lot of credit in the iTunes Store, you cannot use that to purchase a gift. Instead, Apple will charge your credit card. 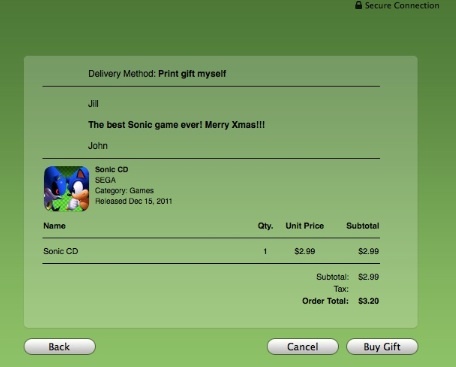 We chose the print option to gift Sonic CD, and this gives you a sense of how the card comes out. If you end up using your iPhone, iPad or iPod Touch, you'll have a slightly different experience. To reach the Gift This App option, you need to go to the app you want to gift and scroll all the way down. 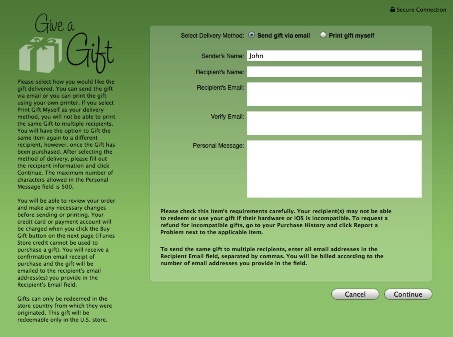 Once you reach it, you'll be taken through the usual sign-in process, and you'll only have the one option to deliver the gift via email. You can also add a personal message. That's that. 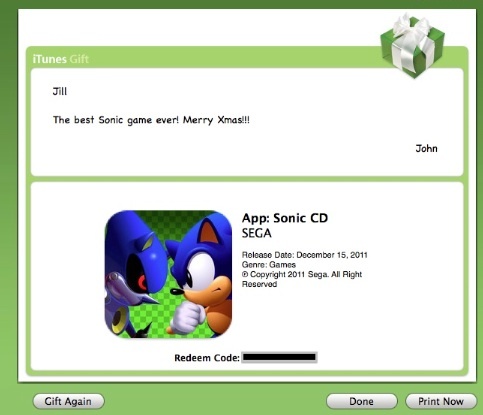 Gifting has never been more convenient, and the generated codes can be redeemed via any device, just like an iTunes Gift Card. Happy Holidays.